The Red Bull Holden Racing Team’s decision not to react to Scott McLaughlin’s undercut strategy earlier with Jamie Whincup was based on the “bigger picture” of the Supercars title fight. 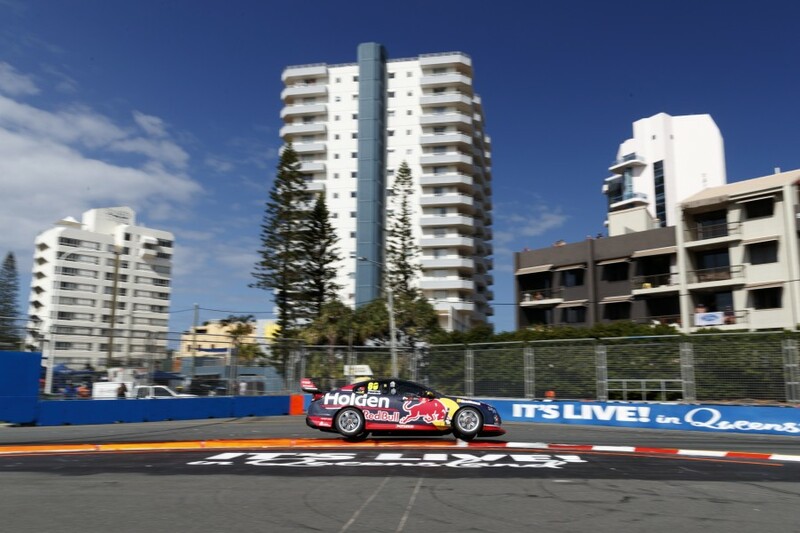 Paul Dumbrell and Whincup dominated Race 22 at the Vodafone Gold Coast 600 through to lap 64, when the Commodore pitted for its second and final stop. However its cushion at the front was lost and it emerged in second place, behind McLaughlin, who had been pitted by Shell V-Power Racing four laps earlier. McLaughlin jumped all three Triple Eight cars with the strategy, which was based on achieving a better fuel range than the accepted norm at Surfers Paradise. Two laps after McLaughlin pitted, Triple Eight called in Shane van Gisbergen and Craig Lowndes from second and third, but a further two laps passed before Whincup’s stop. Whincup believes his strategy was too conservative, but team manager Mark Dutton says it was made with the title fight in mind. With his second-place finish, Whincup leaves the Gold Coast leading the championship by 17 points, having started the weekend 91 points adrift. “We heard them calling McLaughlin in before we could comfortably fit it in,” Dutton told Supercars.com. “We brought our stop forward for #97 (van Gisbergen), to have to conserve a little bit to make it home, which he did really well. 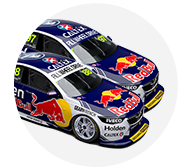 “For #88 (Whincup), we just simply played the long game, looked at the points and felt he should come out with the championship lead. “And if their numbers don’t quite work, then he gets the win back. We took less risk. Dutton acknowledges McLaughlin’s crew “played it really well”, but said the Kiwi cutting the first chicane to take the lead rather than turning in as Whincup emerged from pitlane was a factor. 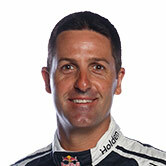 Whincup then cut the back chicane on his outlap, and no further action was taken by stewards on either transgression. “It was touch and go,” Dutton said. Asked if he would have expected stewards to look at the McLaughlin cut without Whincup’s, Dutton said: “100 percent. “One gained a position, the race lead, the other if you look at it maybe he gained a tenth? That’s the maximum. Whincup and Dumbrell finished sixth on Saturday in the wet, and Sunday’s podium means the six-time champion leads the standings for the first time since the start of the 2016 PIRTEK Enduro Cup. “We came here to achieve that,” Dutton said of Whincup’s points swing. “We’ve achieved what we wanted to. “You always want to do it winning races, we didn’t achieve that, but we’re definitely happy with the big picture of coming out of here with the championship lead.